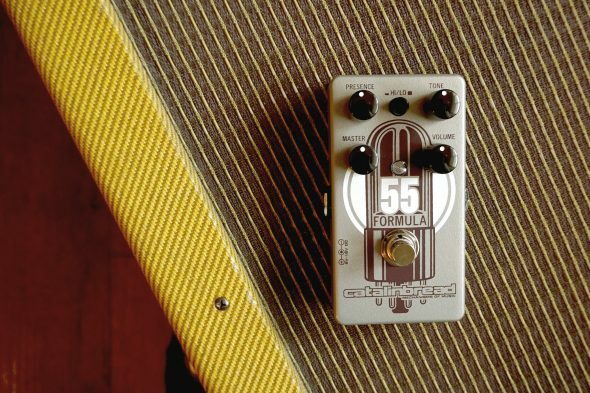 NAMM 2017: Catalinbread Releases New Formula 55 Overdrive Pedal! NAMM2017 Turn your amp into a 100 watt tweed Deluxe! Well no, but that’s what it’ll feel like when you plug into the new Catalinbread Formula No. 55! Big and powerful, yet refined. The Formula No. 55 melts into your amp, transforming it into a wide ranging tweed monster capable of everything from smokey, clean Grant Green jazz tones all the way to full on raging Crazy Horse excursions!